After a successful inaugural outing this summer, Black Deer returns in 2019 for a three day celebration of Americana and Country at the Eridge Deer Park in Kent. Black Deer has picked up multiple awards since June and has been adopted by fans of Americana and Country as the gathering of choice for those of an independent, outsider spirit. The first confirmed headliners for 2019 are Band Of Horses. 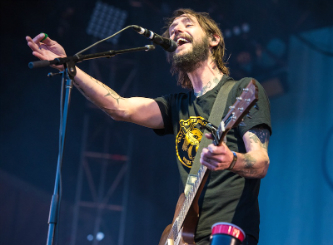 The South Carolina-based band have released five studio albums and were formed and led by the charismatic frontman Ben Bridwell, Band Of Horses are a rough and ready, boisterous, live proposition. Australian roots, rock heroes, the John Butler Trio have been together for two decades with their particular brand of alternative rock and bluegrass. This is a rare UK show for the trio and their live shows are stirring, emotional affairs. Soulful with a punk edge, Northumberland's Jade Bird has marked her out as a crossover star. With performances on Later With Jools Holland and the Tonight Show with Jimmy Fallon in the US, Jade has been hotly tipped by a plethora of music titles including Rolling Stone. Black Deer also welcome Canadians The Dead South, noted for their bluegrass and hillbilly folk and distinctive dress code, and Nashville based Atlanta born sisters Larkin Poe with their riff heavy blues-rock and southern harmonies. Ryan Bingham is the real deal - raised in a roadhouse brothel in New Mexico he was riding rodeo south of the Mexican frontier by the age of five. He has graduated to be the poster boy for American Roots music and winning an Oscar, a Grammy and a Golden Globe. Grammy winning folk musician and guitarist in the Old Crow Medicine Show, Chance McCoy will also perform. Oakland's very own NPR Tiny Desk Concert contest winner Fantastic Negrito will be bringing his own blend of black roots music whilst Hayseed Dixie will entertain festival fans with bluegrass covers of rock songs from the likes of AC/DC, Black Sabbath, KISS and Motorhead. The folkier side of Americana is showcased by rising Devon star John Smith, critically-acclaimed Martin Harley takes care of the roots and blues sound along with seventeen-time-Blues-Music-Award-nominee Watermelon Slim, whilst fiddle playing showman Gordie Mackeeman & His Rhythm Boys will give fans a lesson on how things are done Canadian style. Compelling duo and talented multi-instrumentalists, the sublime Worry Dolls present a beautiful set, whilst Irish Mythen's unique voice, underpinned by her country, roots and folk influence, will be heard throughout the weekend, along with rising star of Australian country and blues, singer-songwriter William Crighton, the raw and distinctive sounds of Bob Harris endorsed Morganway. Black Deer is a celebration of a way of life. A way of life rooted in, and respectful of, the rich cultural heritage of America - a movement that's become known as Americana. Tier one tickets on sale now and are available from https://blackdeerfestival.com/tickets/ - Ticket prices from £105 - subject to booking fees.